This recipe is gluten-free, vegan & requires no cooking! 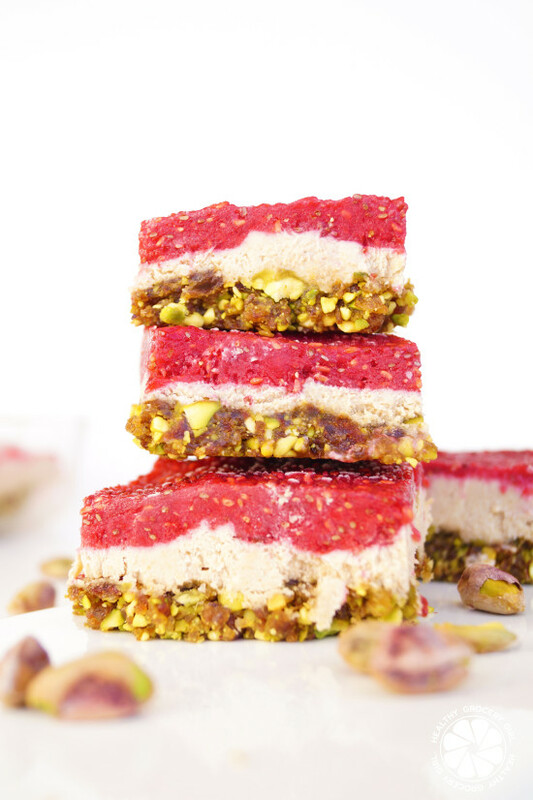 In a food processor pulse together dates, pistachios, vanilla extract and sea salt. Transfer mixture into an 8-inch square casserole dish. With your hands press mixture together and down towards the dish so that the ingredients stick together, this layer will be the "crust". Next, in a food processor or blender combine raw cashews that have soaked in water overnight (or atleast for 1 hour) with coconut cream and coconut sugar and blend together until creamy. 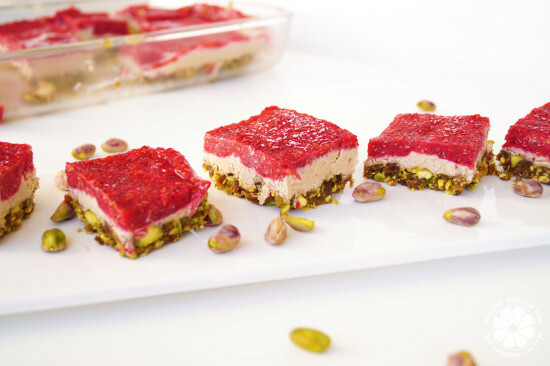 Spread this mixture as a second layer on top of the date and pistachio crust. Next in a high-speed blender, blend together raspberries with chia seeds and pour on top as the final layer. Place dish in the freezer to set overnight. Store in the freezer. Enjoy! 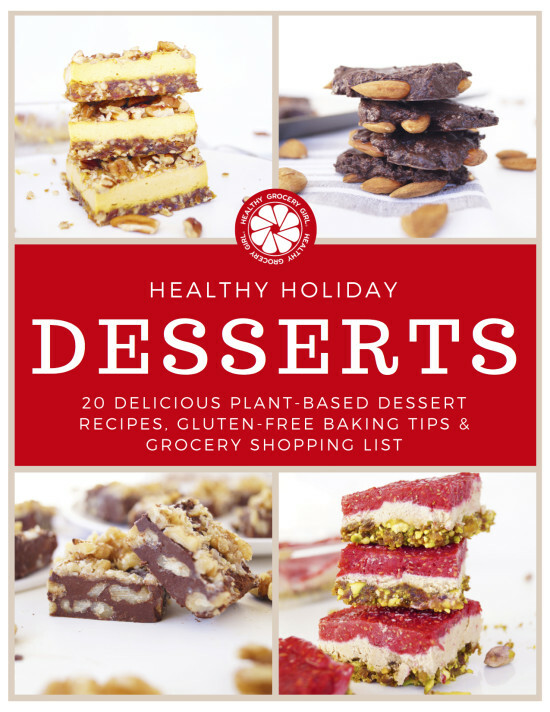 This Recipe Is From The Healthy Grocery Girl Holiday Holiday Desserts eBook!